NRC holds hearings on Indian Point plant's license-renewal bid in N.Y.
Entergy Corp. detailed the commitments that would be made by the Indian Point Energy Center nuclear plant in Buchanan, New York, during license-renewal hearings before the U.S. Nuclear Regulatory Commission's (NRC) Atomic Safety and Licensing Board that ended late last week. The facility has received legal challenges from the State of New York regarding environmental concerns and alleged violations of federal coastal-protection laws. During this renewal process, the NRC has issued a safety evaluation report and a final environmental impact statement, which both concluded that nothing was found to preclude license renewals. "Indian Point has operated safely for more than 40 years, delivering enormous benefits such as reliable, price-stable and non-greenhouse-gas-emitting power generation, day in and day out," Fred Dacimo, vice president of operations for license renewal at Entergy, said. 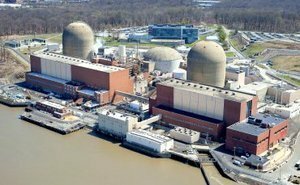 "The fact that Nuclear Regulatory Commission staff have spent 37,000 hours over eight years reviewing and inspecting Indian Point's application should be reassuring to everyone that all aspects of the license renewal process have been thoroughly examined, and that the facility will continue to operate at the highest levels of safety and reliability." A final decision is not expected to be reached for several years.